Choosing a long-term care facility for aging loved ones isn’t easy. Consumers need to know that their needs are being met and that the potential resident will be able to enjoy good quality of life at your community. When a potential new resident or family member walks through your door, they’re not just looking – they’re engaging all their senses. High-functioning, organized nursing facilities tend to be quieter and less chaotic. Frequent, loud PA announcements are a red flag – consumers expect a more modern communication system to be in place and will note the unpleasant atmosphere it creates. For seniors with Alzheimer’s disease and dementia, a loud environment can be especially stressful – and their loved ones know this, and will pick a nursing home accordingly. Unpleasant odors are a huge problem. They are immediately detectable by visitors who have not grown accustomed to the normal scents of aging bodies. The truth about “old people smell” (also known as Nonenal body odor) is: it’s a natural part of the aging process, and no one experiencing it should feel ashamed. However, these odors can be exacerbated by unattended adult briefs, skin infections and too infrequent bathing. Since our olfactory senses are so sensitive and so powerfully tied to memory, bad odors will leave a very negative impression on visitors to your facility that will be difficult to overcome. For years, it was standard for long-term facilities to have a set visiting hour policy. But things have changed. Although it might not be wise to allow visitors at 2:00 am, your residents’ visitors should feel like they can come and go as they please, participate in activities, and eat with their love one. If you restrict visiting hours to a small window, families will wonder, “What goes on outside of those hours?” and may suspect that staffing levels and quality of care drops when visitors aren’t present. Your community’s culture says a lot about what living at your facility will be like. In particular, pay attention to how your staff interact with each other, and with residents. When nurses don’t know residents’ names, speak to each other and to residents with an abrasive tone – or, vice versa – families may assume that staff priorities aren’t where they should be. Even over the course of a single afternoon, potential consumers will learn about your facility’s values when it comes to senior care. 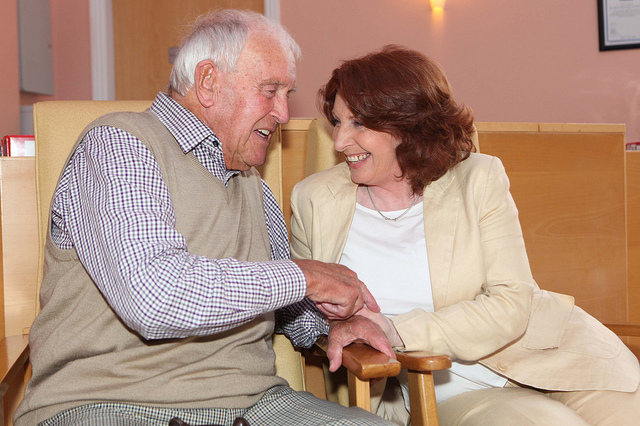 They will ask questions about how you plan to care for their loved one’s specific conditions and fulfill their needs. They will want to know what kind of technology you have in place to prevent issues that are preventable today, such as pressure sores, falls, infections, and more. If you aren’t prepared to answer these questions, that’s a red flag – fortunately, if you are actively searching for these answers, help is on the way.